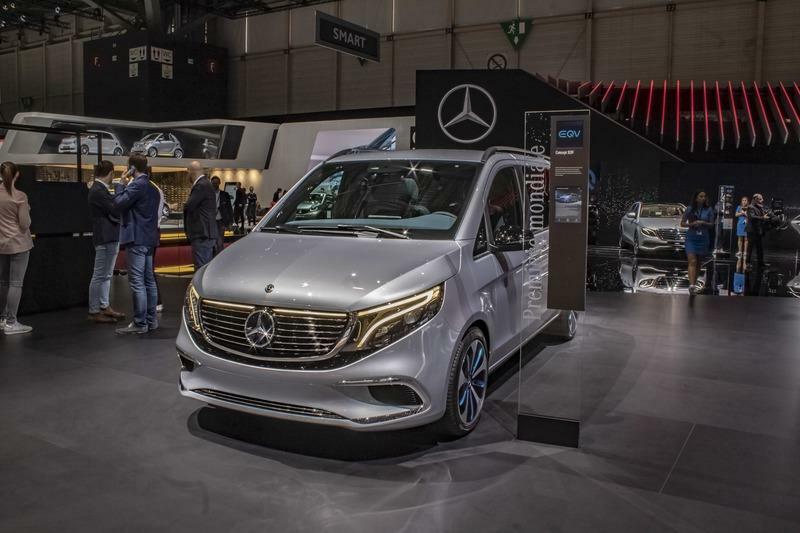 While the "concept" badge may suggest a futuristic design, the EQV is actually a slightly revised version of the current V-Class passenger van. 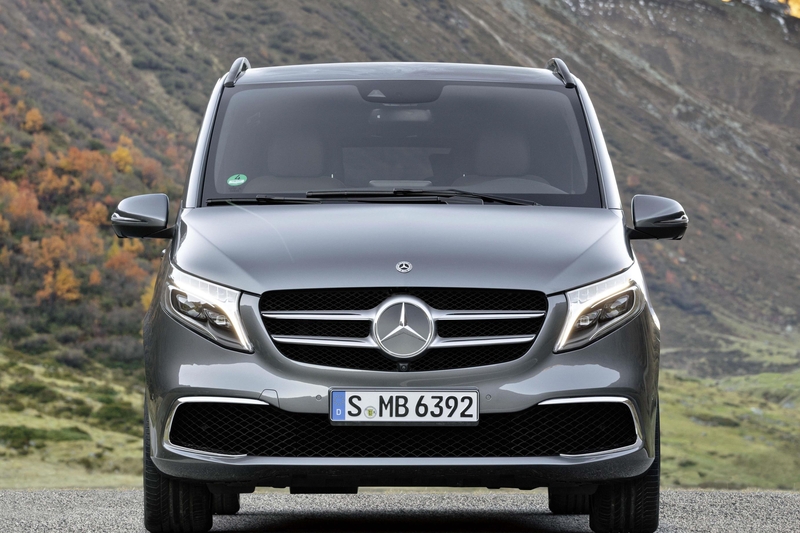 Up front, Mercedes only added some of the styling features seen on the EQC crossover to the V-Class’ familiar fascia. The headlamps are a tad bigger and a bit more angular and include a new LED pattern shaped like a horizontal V.
The grille is obviously borrowed from the EQC. 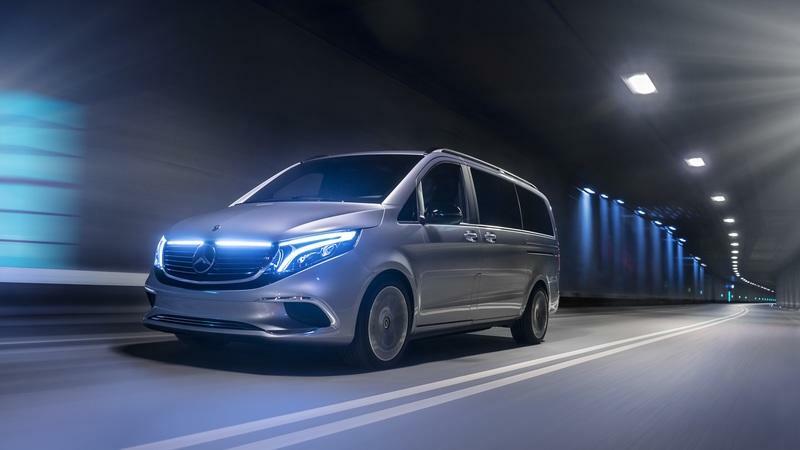 The element is notably larger than the regular V-Class and now features six horizontal chrome slats instead of two like the production version. The LED stripe at the top that’s almost connected to the headlamps also comes from the EQC. 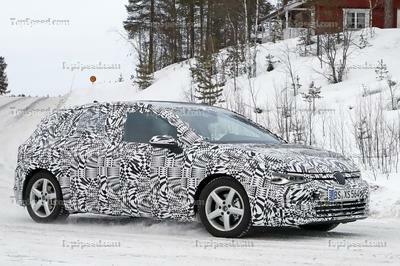 The bumper is completely new and a notable departure from the regular V-Class. Mercedes dropped the three-outlet layout in favor of a simpler and sportier design with two massive vents on the sides and a really thin opening just above the splitter-like element. There’s nothing new to spot onto the sides. The profile is unchanged compared to the standard V-Class, save for minor details like black mirror caps and body-colored roof rails. The wheels are unique though. The rims feature a five-spoke design with blue painted cutouts and a two-tone finish in silver and black for the rest of rims. The same goes for the rear fascia, where I can’t spot any changes except for the black tailgate spoiler and blue lighting for the "concept EQV" license plate. Just like the exterior, the interior is heavily based on the V-Class. The dashboard looks exactly the same, and the big infotainment display and the digital instrument cluster in the range-topping model of the passenger van are in there. Of course, Mercedes made some modifications that suggest this van is a green one. 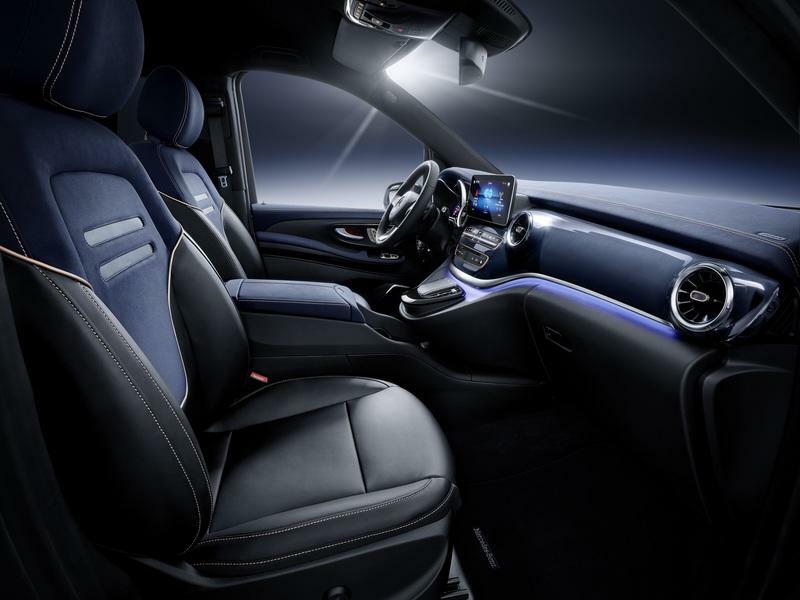 With blue usually associated with electric cars and Merc’s EQ range, the Germans dropped the fancy wood veneer found in the more expensive versions of the V-Class in favor of a Midnight Blue finish of the central dashboard panel. This is nicely complemented by Rose Gold trim on the center stack and blue ambient lighting in the lower dashboard area. Mercedes also used dark trim on most buttons and dashboard components, including Dark Chrome and Silver Shadow. The theme continues on the seats and armrests, where we can see blue Nappa leather with Rose Gold stitching and dark blue inserts on the backrests and more rose stitching on the side bolsters. The same blue and Rose Gold combo is visible on the door panels as well. The cabin looks very upscale thanks to this color combination. Technology-wise, Merc didn’t have much to say but did mention that the concept is equipped with its new MBUX infotainment system that includes a self-learning voice control system and innovative technology features. Mercedes also brags about the EQV’s practicality. 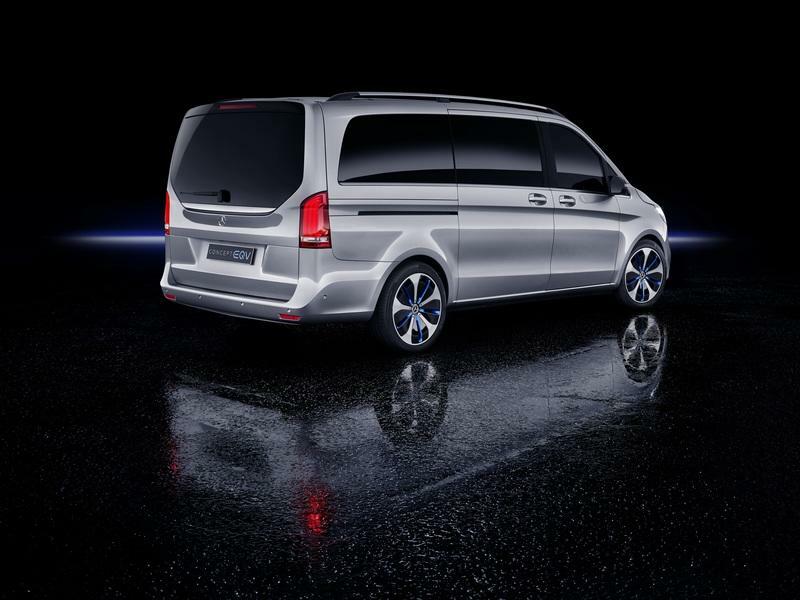 Just like the V-Class, it can support various seating arrangements, starting with a six-seat layout. 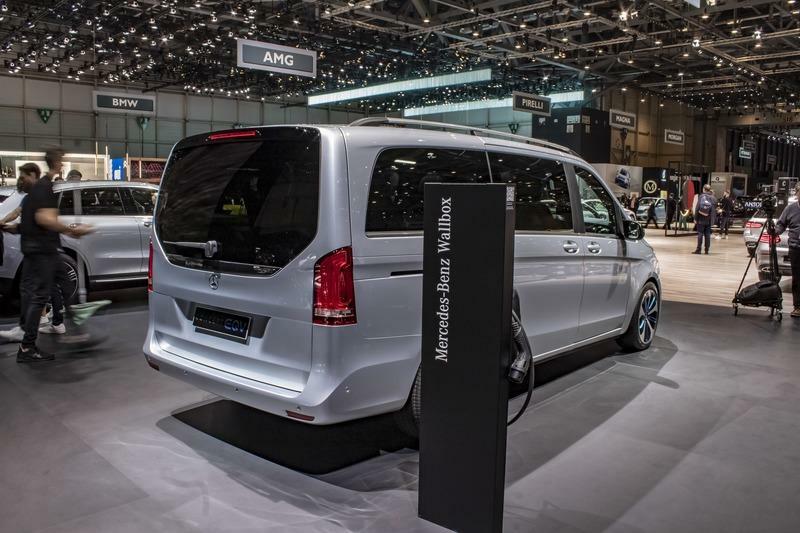 This configuration made of individual seats turns the van into a premium vehicle for VIP transport. But the van can also be equipped with additional individual seats or benches that increase total capacity to seven or eight passengers. All told, the EQV can easily transform into a practical family car or even a minibus for a small sports team. The Concept EQV features a 150-kW electric motor that spins the front axle. This converts to 201 horsepower, which is 14 horsepower more than the most powerful version of the production V-Class. 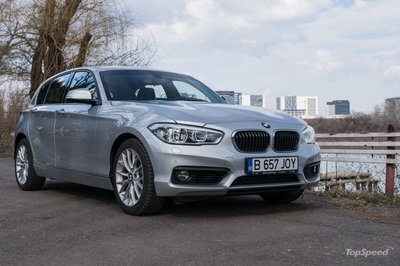 Which, by the way, is available with diesel engines only so far. The motor draws juice from a 100-kWh lithium-ion battery mounted under the floor. The electric motor, the transmission with fixed ratios, the cooling system, and the power electronics form a compact and integral unit, just like in the ECQ production model. This isn’t surprising. 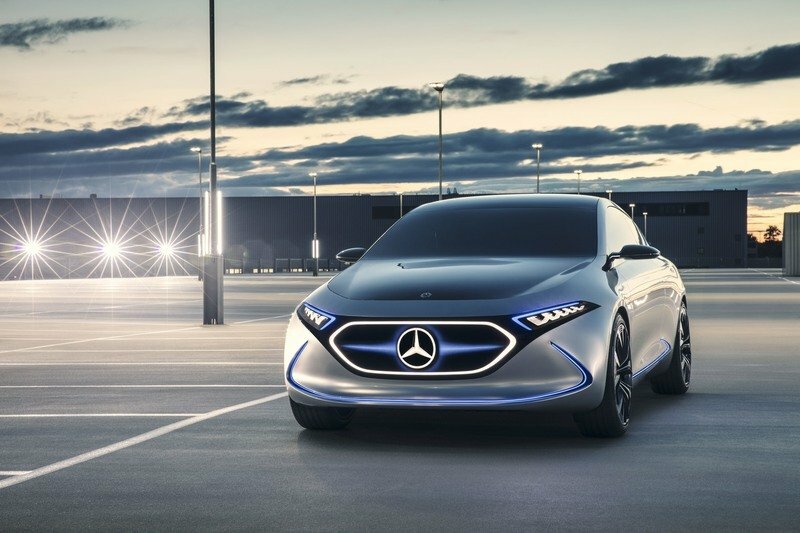 Th ECQ is the first customer car featuring Mercedes’ latest electric drive technology, and it’s expected that all upcoming EQ cars will have the same underpinnings. The EQV isn’t as powerful as the EQC though. 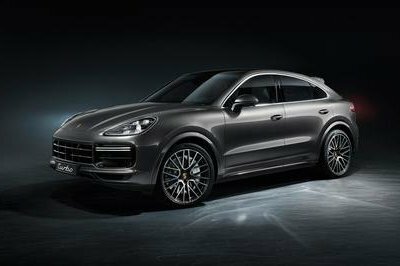 The crossover comes with 402 horsepower on tap, which is exactly twice as much. It isn’t as fast either. While the EQC charges up to 112 mph, the EQV is limited to 99 mph. This is somewhat low for highway speeds, but the production model will probably exceed the 100 mph mark. 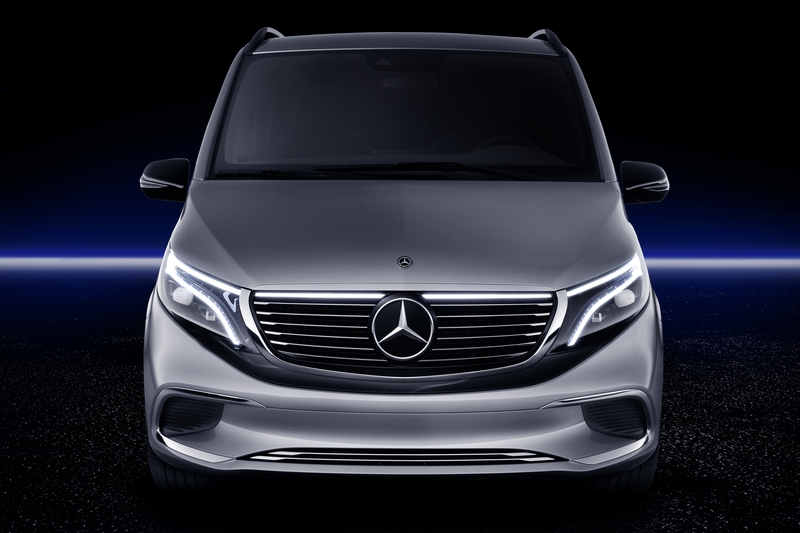 When it comes to range, Mercedes-Benz promises up to 400 km (249 miles) per charge. Interestingly enough, this is around 50 miles more than the EQC crossover. Mercedes-Benz didn’t provide additional info, but it did say that the EQV includes a rapid charging system that enables a 100-km (62-mile) range in just 15 minutes. Although the electric car segment expanded quite rapidly in recent years, automakers have mostly ignored the truck and van segments until now. Mercedes-Benz is trying to change that with EQV, which will become the world’s first electrified premium hauler by the end of 2019. It’s difficult to say how this vehicle will impact the passenger vehicle market, but it might become a hit with companies provided VIP shuttle services, including airlines and hotels. 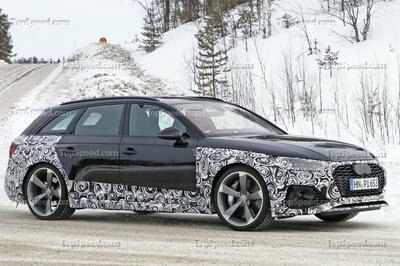 But the production model needs a higher top speed, and Mercedes could also use a more powerful range-topping version, preferably powered by the same drivetrain as the EQC crossover. 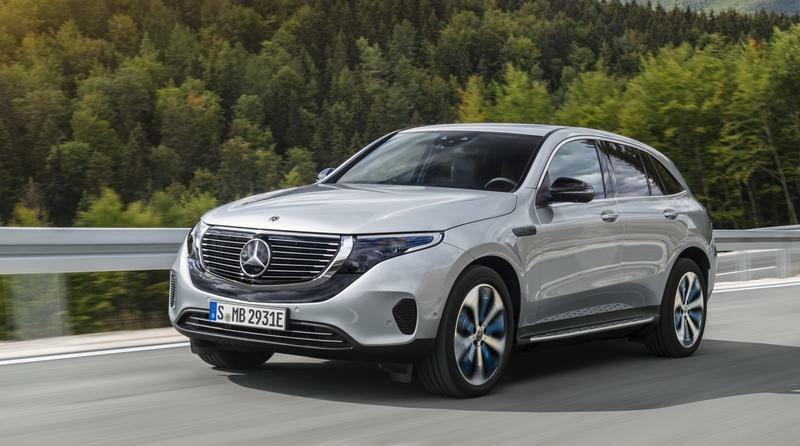 Read our full review on the 2019 Mercedes-Benz EQC. Read our full review on the 2017 Mercedes-Benz Concept EQA. 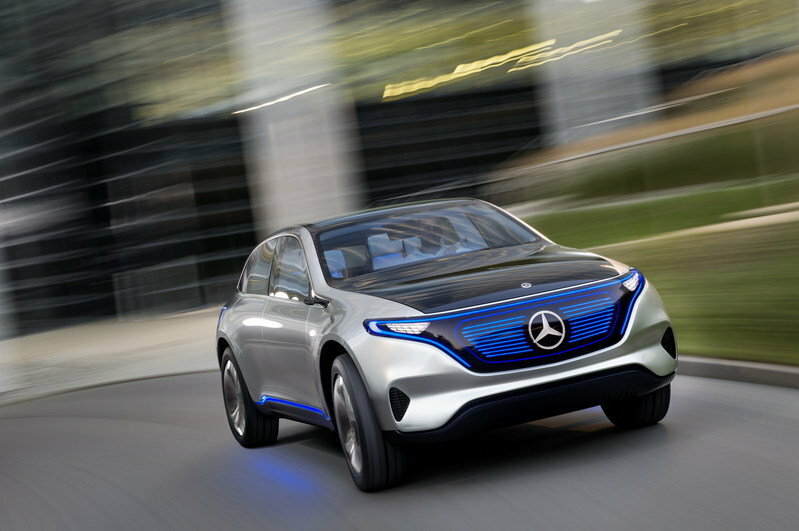 Read our full review on the 2016 Mercedes‑Benz "Generation EQ" Concept.